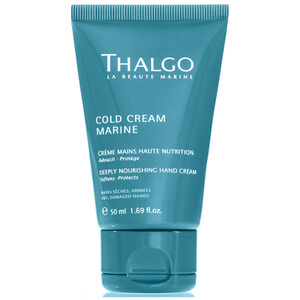 Rejuvenate dry, damaged skin with the Thalgo Deeply Nourishing Hand Cream; a fast-absorbing, non-greasy formula that works to restore soft, supple hands. 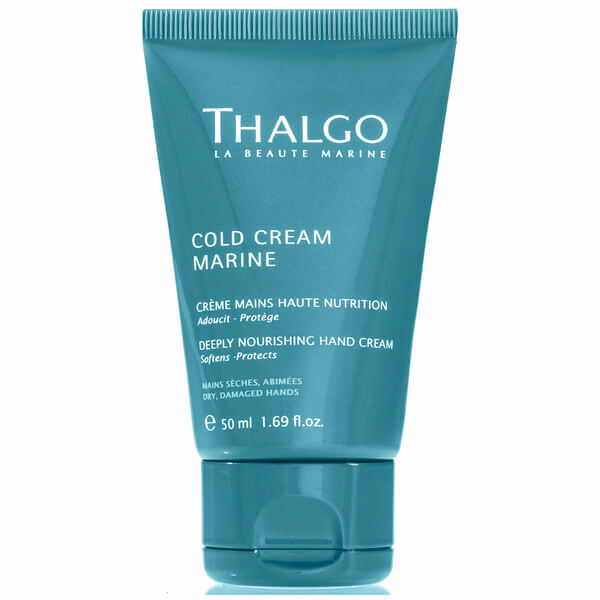 Harnessing the powers of Cold Cream Marine, a cocktail of Algae Oil, Algae Wax and Sève Bleu from the Ocean, the two-in-one cream moisturises and conditions hands, whilst Pro-Vitamin B5 helps to strengthen and protect brittle nails. Delivers a luxurious fragrance of Peach, Green Leaves and White Musk.